Tamar is the Chief Executive of the Royal Society of Tropical Medicine and Hygiene, and previously ran the Longitude Prize for Nesta, a £10 million science prize working to combat antibiotic resistance. She is also a trustee of the charity Article 19, which focuses on the worldwide promotion of free expression and freedom of information. Tamar has a strong track record in the voluntary sector. She was Director of the social action campaign ‘Give More’ on behalf of one of the Pears Foundation, promoting increased giving of money and time amongst the UK public. Prior to that, she spent 15 years developing and delivering funding strategies for international NGOs, including ActionAid and VSO. Separately, she founded and continues to run two social enterprises working in global and national healthcare. 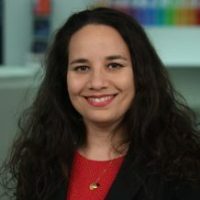 Tamar has an MBA from Imperial College, London and Masters in Development Studies, following an undergraduate degree in Mathematics at Bristol University. She is also a trustee of Heart UK and BAAG, a consultant on fundraising and strategy development, and a guest speaker at Imperial College Business School on innovation and entrepreneurship as part of its MBA and Masters in Health programmes. 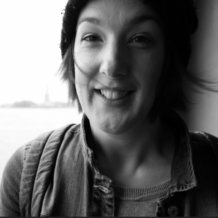 Naomi has been involved in national and international humanism for a decade, having previously been Humanists UK’s Head of Public Affairs, chair of Labour Humanists, a Director of the European Humanist Federation, a voting representative to IHEU and a speaker at the World Humanist Congresses in Oslo 2011 and Oxford 2014. 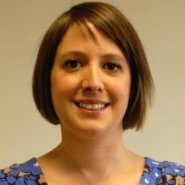 Naomi brings a particular skill-set to the Board, through her work leading policy, research and advocacy/campaigns teams in the charity sector. She is endlessly enthusiastic about the value and potential of Humanists UK. 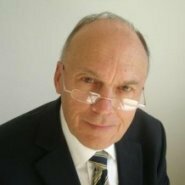 A professional economist for over forty years, John was professor (now Emeritus) at the University of Hertfordshire. He has taught and researched both in the UK and overseas specialising in Labour Market Economics, Economic Philosophy and the Economic Analysis of Tourism. 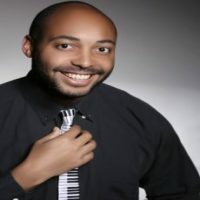 John was the first Chair and is now the Vice President of the National Governors’ Association, was a founder member of the National Teaching Awards, spent four years on the board of the General Teaching Council, and has been a member of various advisory boards at the Department of Education. John is married with two adult children and lives in North Yorkshire. He is a member of five cricket clubs, including the MCC. John received an MBE in the Queen’s Birthday honours list in 2012 for services to education. Jenny has been involved with humanism since her student days, where she got ran the University of Bristol’s humanist group. She went on to be the president of the national group Humanist Students, and then the chair of its board. She has an interest in LGBT rights and feminism, and is a committed environmentalist. 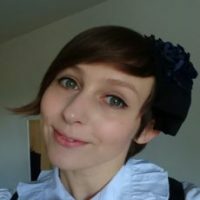 She currently works as a software engineer in Bristol. 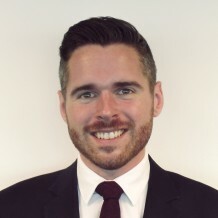 Tom is an elected member of the London Assembly, serving as a city-wide member since May 2012. He is currently the deputy chair of the Assembly’s Housing Committee. He has a keen interest in theatre and the arts and is about to publish a report in the challenges faced by small theatres in London. Prior to his election to the Assembly, Tom worked for the Searchlight Educational Trust – an anti-fascist, anti-racist charity that works with communities to fight racism and hatred. He has also worked for the Labour Party and the Health Protection Agency. Following his election to the Assembly, he was made a patron of LGBT Labour. 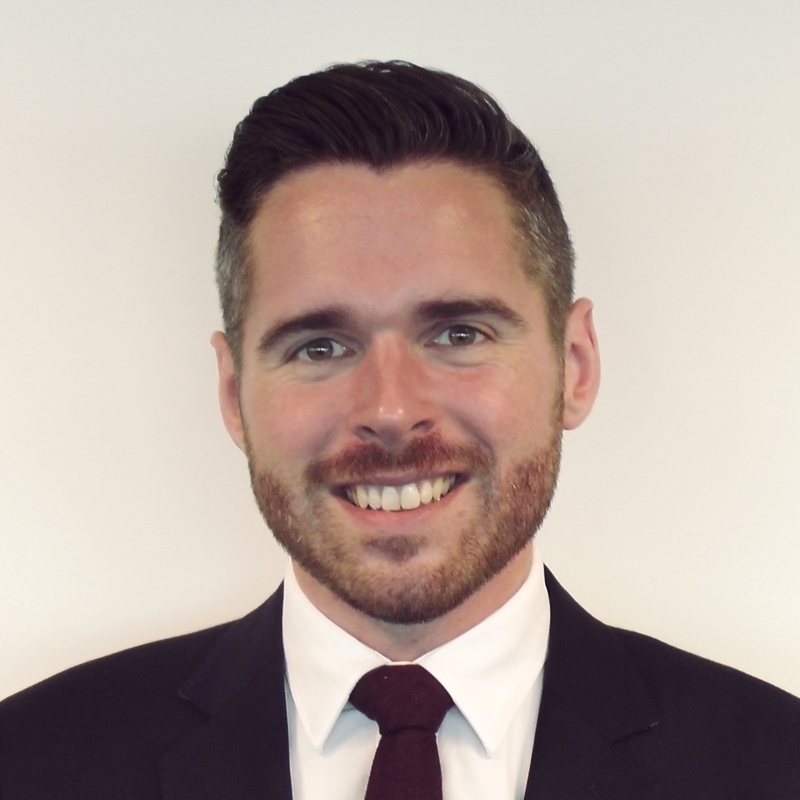 Originally from Derbyshire, Tom grew up in Wiltshire and has lived in London for most of the last eight years. 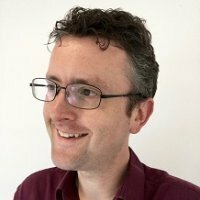 Blaise Egan is a consulting statistician working for BT, where he has worked for over thirty years, in a variety of roles involving the improvement of processes and decision-making. His work in the research department, developing telecare systems for the frail and elderly, was recognised by the British Computer Society and gained him a US patent. He has a strong interest in the mathematical sciences and holds a BSc in maths and an MSc and an MPhil in statistics. He is the Chair of Essex Humanists and he lives in Essex with his partner Glenys. Donna has worked in the charity sector for more than 15 years. 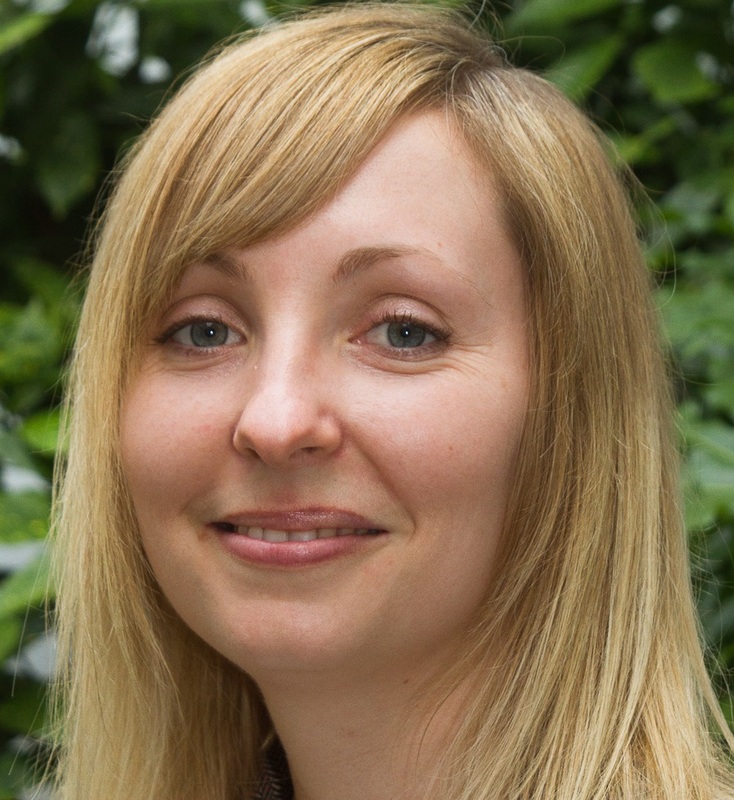 She has worked at national charities as such as Girlguiding and Missing People and she is currently Director of Fundraising and Development at The Mix. Over the years Donna has worked on dozens of campaigns and projects – including branding (and rebranding), fundraising, marketing, TV broadcasting, advertising campaigns, developing and delivering youth services, and research programmes. Donna serves on a range advisory panels and networks in relation to mental health, young people, girls and women, the LGBTQ+ community, and human rights more broadly. In her spare time, Donna is a League Director and chartered skater for Brighton Rockers – a roller derby team that plays across the UK, Europe, and internationally. Ewan qualified first in Linguistics (York) then in Community and Youth Work (Durham). He has worked in various youth, advice, and welfare services and was a founder trustee of two local charities. For twelve years he developed and ran the national online support services – internet communities and email helplines – for unpaid carers for a UK charity, at the same time as freelance design and consultancy work in web, film, print and words. He has been a humanist celebrant since 2012 and served a term onHumanists UK’s Ceremonies Board. As such, much of his year is spent focusing on non-religious ritual and the important role it can play in people’s lives. Ewan lives with his wife in York, his home since 1997. 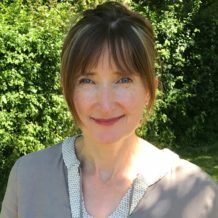 Ann is a committed humanist, sharing the Humanists UK vision of personal fulfilment found in our connections with others, and finding meaning in science, reason, compassion, and creativity. Ann is a qualified treasurer and accountant with a particular interest in good governance. She has many years experience in banking, working in audit, finance, treasury, and risk. She has also worked as a non-executive Director of a Credit Union and a Building Society. She is currently working as a Director of Rhino Software Ltd., a company which develops innovative mobile apps for the SME market. Ann is a trustee and treasurer of the Leicestershire and Rutland branch of Emmaus UK, a national charity which works to end homelessness. She is also a Director of Leicester Health Insight (LHI) a not for profit company which aims to facilitate improvements in health and social care for the population of Leicester city. Actively involved in the humanist movement since 1961, David Pollock was a trustee of Humanists UK from 1965-75, including a stint as Chair from 1970-72. He was re-elected to the board in 1997. 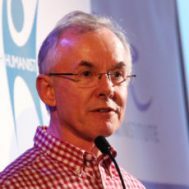 In addition David is a board member and former Chair of the Rationalist Association and was President of the European Humanist Federation from 2006 to 2012. He takes a special interest in policy and campaigning on the place of religion and belief in society and other questions of public policy. An Oxford classics graduate, after 25 years in management with the National Coal Board, he was Director of Action on Smoking and Health (1991-95) and then of the Continence Foundation (1996-2001) before retiring to (almost) full-time Humanism. After a science degree, Jeremy had a number of business roles in a major international company. It was after his humanist wedding in 2001 that he realised ‘humanism’ was the term for the worldview he had held for many years. Jeremy is the co-founder and Chair of South West London Humanists, a humanist school speaker, and Humanists UK’s (volunteer) Dialogue Officer. In 2011 he led a high-profile campaign for more inclusive admissions at a new faith school in Twickenham. He thinks humanists can make an important positive contribution to a fair, plural society. Imtiaz Shams has been using his experience founding ‘tech for good’ start-ups to help apostates who leave conservative religions. 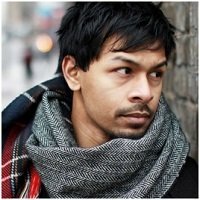 In 2012, he began creating ‘underground railroad’ networks for ex-Muslims around the world. In 2015, he co-founded Faith to Faithless, an organisation working to reduce the stigma faced by ‘apostates’ of all religions. It has been featured on the BBC and in Vice, the Guardian, and the Times, and has helped thousands find a place for themselves in a world that often dehumanises the non-religious. Faith to Faithless later became a part of Humanists UK. Imtiaz currently serves as its Chair. Imtiaz believes humanism is vital in the fight to bring happiness to apostates who face discrimination from their families, community, and state. He has a management degree from the London School of Economics and works as a consultant for high-tech solutions to problems including age-care, transport safety, and approaches to countering right-wing and Islamic extremism. He tweets at @imtishams. Amy has a BA (Hons) Criminology from Solent University and a Diploma in Probation Studies from the University of Portsmouth. She has worked within the criminal justice system for 12 years, and returns to Solent University to give an annual lecture on working with offending behaviour. In 2011 Amy initiated humanist pastoral support in prisons with a pilot project at HMP Winchester. This proved successful, with the initiative now being introduced in other prisons. Amy continues to be involved in Humanists UK’s pastoral support services. She is part of a team training Humanists UK members to deliver humanist pastoral support in prisons and hospitals across the country as well as within the armed forces. Amy is passionate about equality and the value of diversity. She has been part of an Equalities Consultation Panel within her workplace and delivered training in this area to her colleagues. Amy has a strong interest in science and nature. She enjoys walking and going to live music events. She is also a regular attendee at her local Skeptics in the Pub group. A teacher by profession, Alex is passionate about bringing humanism to young people. He read English at Cambridge prior to completing his PGCE, and since then has worked in a number of different educational settings, including two years teaching at an international school in Jordan where he engaged with a student body with a vastly diverse range of faith, race, national, and cultural backgrounds. Outside of work, Alex runs The Dial Up Open Mic Night events, acting as both singer and host, creating a secular space for people to celebrate community and creativity. 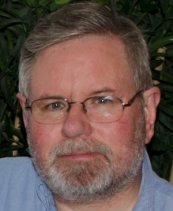 He is a passionate communicator, and the author of plays, poems, and children’s fiction. He is an accredited humanist school speaker and acts as a local humanist representative at community events such as the Watford Interfaith Celebration.